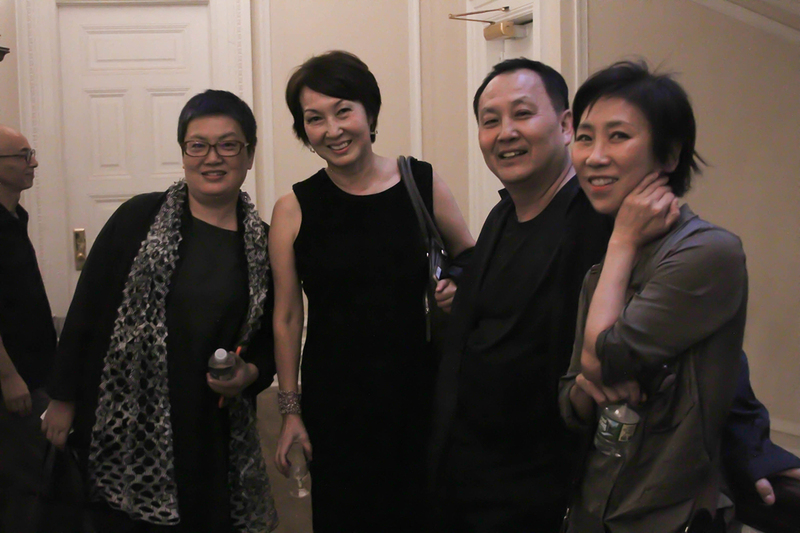 Fang Lu, Lin Yilin, Ma Kelu, Miao Ying, Zhang Hongtu, Zhang Peili, Zhang Wei, Zhao Gang. 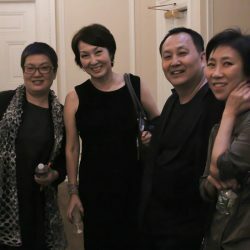 The inaugural exhibition of Boers-Li New York Gallery, Uncharted Waters, showcases both established and emerging Chinese artists including Zhang Peili, Zhao Gang, Zhang Hongtu, Zhang Wei, Ma Kelu, Lin Yilin, Fang Lu, and Miao Ying, all of whom have lived or are still living in New York City. 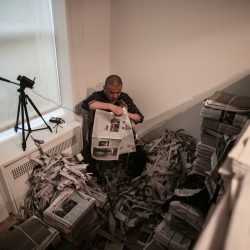 Their diverse artistic practices characterize the evolution of Chinese contemporary art from the early eighties to today. 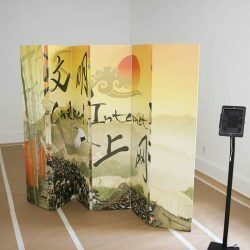 From painting to video, installation, performance, and digital network technology, the group show proposes an alternate perspective on the multi-layered history of Chinese contemporary art, and reflects on the transformative relationship between the individual and the cultural context. 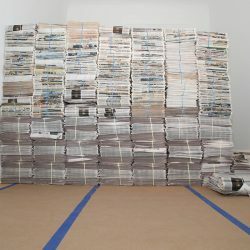 The eight artists explore and (re)define their perspectives on the social, political and cultural circumstances which impinged on them and the work they made in New York. In such a context, a wall may be a metaphor or it may be an actual physical barrier. 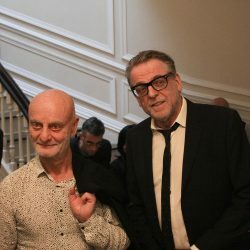 The exhibit registers performativity as the artistic strategy through which the artists found and still find ways to surmount perceived barriers and express themselves freely. Rooted in their historical contexts, the works on view reveal how the exigencies of the artists’ experience of cultural dislocation resulted in their reworking the performative dimension of their practice. 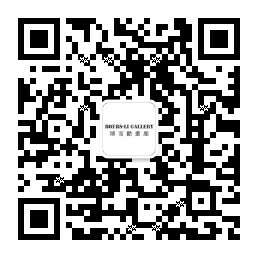 The abstract visual language and the brush strokes in the works of Zhang Wei and Ma Kelu trace Chinese as well as western expressionistic painting, and they are incised by the thoughts and emotions of the late 1980s and early 1990s. The architectural motifs in works of the same era by Zhao Gang and Zhang Hongtu articulate an ambivalent relation to social circumstances, and thus a political undertone is rendered on the picture plane. 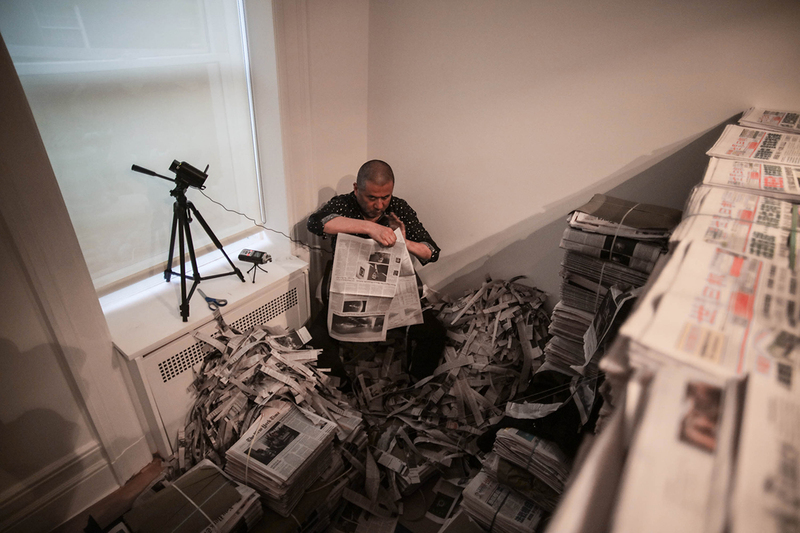 Most evocatively, Zhang Peili’s performance and installation piece, Scenic Spot Opened Temporarily (1995), will be reenacted at the gallery. 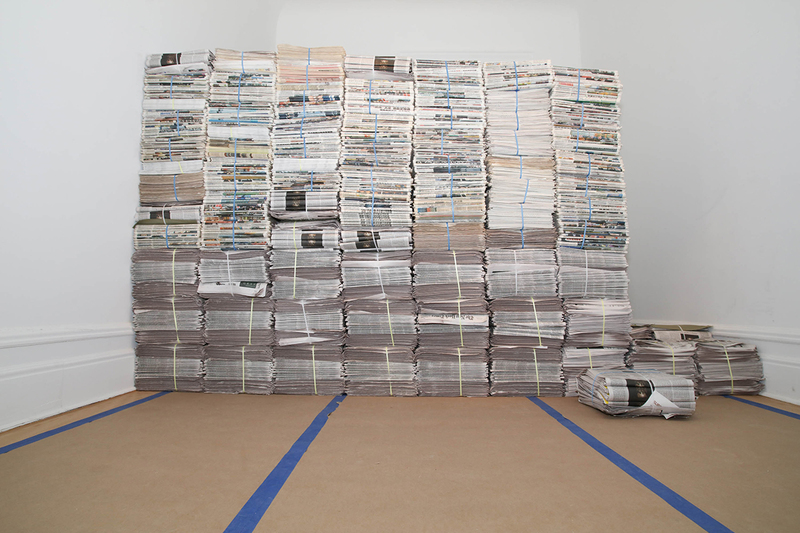 Zhang builds a physical wall of thousands of newspapers behind which he sits insistently tearing the newspaper into pieces. 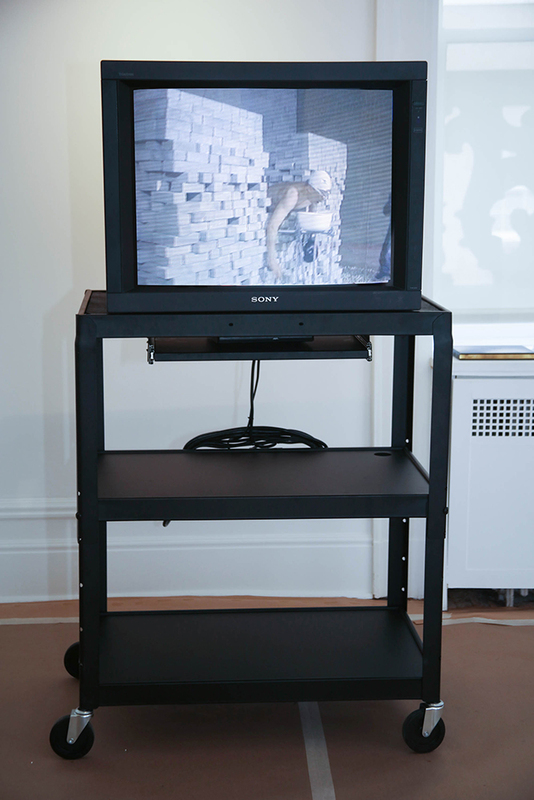 In Lin Yilin’s My Imagination of A Great Nation (2001), the artist surmounts the barrier; the work documents his performance of swimming in the air between a concrete wall. 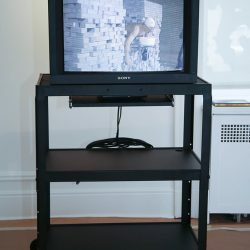 To evoke the mentality of the technological age, Fang Lu’s video works, My Classmates (2005) and Cinema (2013), simulate real-life experience through filming protagonists whose barriers are the technological ones between people. 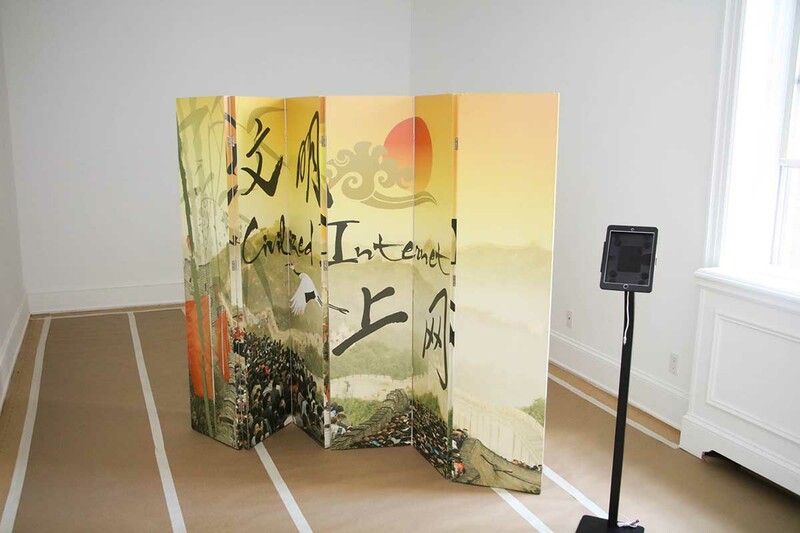 Miao Ying transforms images which the State’s firewall keeps from being circulated or freely consumed. 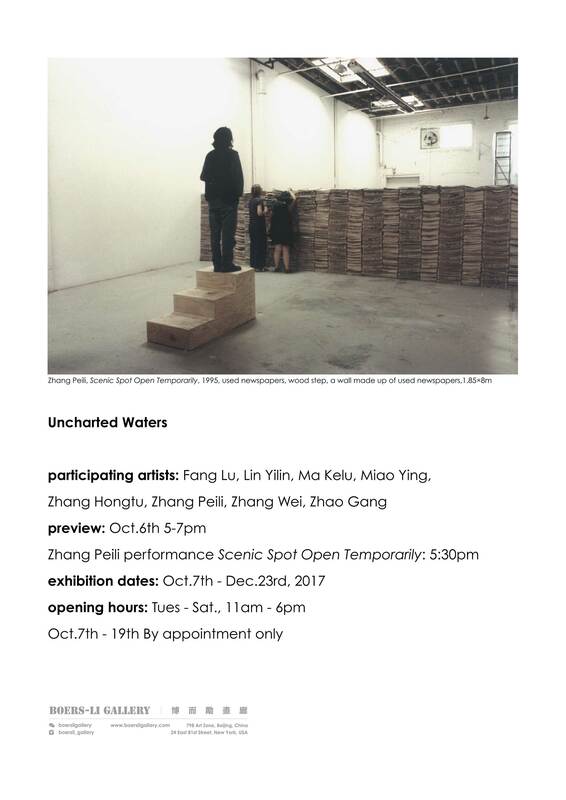 Uncharted Waters will open at the same time as Art and China After 1989: Theater of the World at the Guggenheim Museum from October 6th, 2017 through January 7th, 2018. 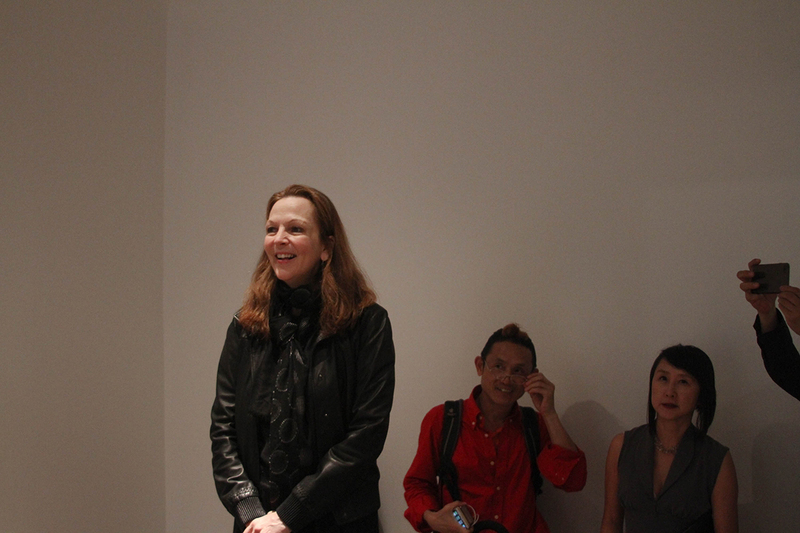 Artists, including Zhang Hongtu, Zhang Peili, Zhao Gang and Lin Yilin, are participating in both exhibitions.